Home Unlabelled What is Universal Basic Income Scheme ( UBI ) and How to get ? What is Universal Basic Income Scheme ( UBI ) and How to get ? Universal Basic Income Scheme is upcoming scheme from Pradhan Mantri Shree Narendre Modiji for those poeple who's income is low or they are job less. The people of the India can soon give a big gift from Pradhan Mantri Shree Narendra Modi to the Universal Basic Income (UBI) scheme. Under this scheme, a fixed amount will be deposited directly in every Indian's account and who don't want they can request stop. This will help people who's income is not upto mark and meet the basic needs. According to the top sources of the finance ministry, PM Narendra Modi can see the presentation of scheme on December 27 next. 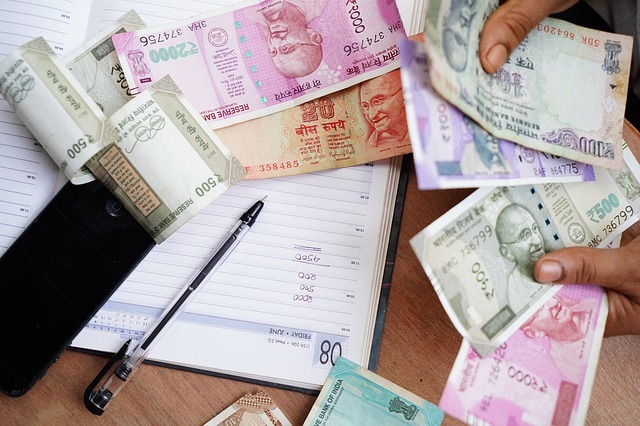 If everything was okay, then Finance Minister Arun Jaitley could declare the Universal Basic Income Scheme in the interim budget of February 2019. Universal Basic Income is still in suggestion mode.How to implement this scheme in it and whether it should be implemented only for the farmers or all of them should be brought under its purview. Opinion has been sought from various ministries in this regard. Also, suggestions have been sought on the minimum income under the scheme. In this case, the government can constitute a panel for the same. Under the 'Universal Basic Income' (UBI) scheme, the government gives unconditional a fixed amount to every citizen of India. In this, priority can be given to certain people, such as those people who's income is not upto mark,people who is job less,people living below the poverty line and farmers. In this, 20 million plus people of the country can be included in this scheme. The Narendra Modi government has been working on this scheme for two years. On January 29, 2018, Arvind Subramanian, Chief Economic Advisor (CEA) of the Government of India, had said that in the next year, there may be the beginning of Universal Basic Income (UBI) in 1 and 2 states. Subramanian recommended this in the 2016-17 Economic Survey. If everything is okay, then before the Lok Sabha elections, the Modi government will implement Universal Basic Income Scheme, across the country. After the implementation of this scheme, farmers, businessmen and people wh s job less or unemployed or people who's income is low will get fixed amount up to Rs 2,000-2,500 per month. This plan of Pradhan Mantri Shree Narendra Modi Government can prove to be game changer. But this is not the case that this plan of giving money to unemployed will be applicable for the first time in any country. Such types of scheme is already running in below country. Here is the list of countries where such plan is already applicable. According to The Guardian report, France is a place in Europe's countries where unemployed has the highest facilities. If you look at the figures of 2017, the government helps the unemployed about 7,000 euros (close to 5.6 million) annually. That is, an allowance of 46 thousand rupees is given by month. Although unemployed also get this allowance with some conditions. Similarly, in Germany, payment is given to unemployed at many levels. The unemployed living alone can take about 390 Euros per month (about 30 thousand rupees). Although the unemployed person does not work for three months, his payments are automatically reduced to 30 percent. There are many stringent rules for attaining unemployment facilities in Ireland. For example, you should be unemployed for at least 7 days. Apart from this, the Department of Social Protection will have to tell you that you are 'capable of work'. Apart from this, there should be contribution in your social insurance. According to the report, unemployment rate in Italy is 12.9 percent. The Italian government changed the unemployed bonfits in 2013. Now the unemployed gets some 1,180 euros (about 90 thousand rupees) per month with some conditions. At the same time, the government helps in the situation of physical or learning disabilities in Japan as well as mental health is not cured. In Japan this amount is about 153 pounds per month (about 15 thousand rupees). Where did Idea come from India? Some such Universal Basic Income Scheme can be implemented by the Modi government. The scheme was first suggested by Professor Guy Standing of London University. Under his leadership, Pilot Project was started for 8 years in 8 villages in Indore, Madhya Pradesh. Under the experiment, the population of 6,000 of these villages was benefitted. These villages were deposited in the account of Rs 500 each month every month. 150 bucks were deposited in the account of the children. In India, around 100 million people can join this scheme. In the economic survey of the year 2016-17, the government was advised to implement this scheme.